Majority of Indians are now in the urban areas, with a significant percentage living in the squatter areas of the urban centres. Therefore, the focus now is on the urban poverty of the Indians, says Prof. Marimuthu in an interview with Dr. M. Mahalingam, Issue Editor of Roots and Routes. Since you are a well-known scholar on education, an appropriate question to ask would be that, what are the necessary steps to be taken for enhancing the human capital of Malaysian Indian community? The major avenue for the development of the human capital of Malaysian Indians is through Education and Training. The vast majority of Indian children go through the public education system for eleven years after which those who are less academically inclined are provided vocational training by publicly funded institutions. You have described the Tamil school education system as the ‘Cinderella of the Malaysian education system.’ Is that still the case? The Tamil schools in the Malaysian Education system was described as the Cinderella of the Education system owing to historical reasons in the 1960’s. The majority of the schools are located in the plantations, with poor infrastructural facilities. Many lacked proper toilets, canteens, playing fields, science labs and computer rooms. A significant percentage of teachers were temporary teachers and this affected the process of teaching and learning. The majority of the children who attended these schools came from poor homes which also influenced their academic achievement. The Drop-out Report in 1973 described Tamil Schools as the “smallest and poorest” with the highest drop-out rate as compared to other language schools. Since the Drop-out Report in 1973, several educational strategies have been implemented to upgrade the physical and educational quality of these schools. In the diagnostic exam conducted after six years a significant percentage did not fare well. It is estimated that about 30% of the school children were underachievers. The efforts of the government, the MIC and the NGOs in the last four decades have upgraded the achievement of the Tamil schools to a level almost equal to that of the achievements of National and Chinese school pupils. The image of Malaysian Indian community is at its low ebb due to poor socio-economic indicators. According to you, what are the drastic steps of the present Malaysian government to address it? Several socio-economic indicators show that the Indians are better off than the Bumiputera community in terms of poverty, per capita income and other social indicators. The majority of Indians (80%) are now in the urban areas, with a significant percentage living in the squatter areas of the urban centres. Therefore, the focus now is on the urban poverty of the Indians. The Government has set up special committees to look after some of the socio-economic issues. Those who live in the squatter areas of the urban centres face many problems such as proper housing, employment opportunities and lack other amenities. These are the low-income families whose youth is involved in anti-social activities such as drug abuse and gang related criminal activities. The vast majority of Indians are loyal citizens who have contributed enormously to this nation and the activities of a small group does not affect the image of the Indians in the country. It has been observed that there was a rural-urban divide amongst the Indian community in Malaysia. Does this divide still persist or not? The influence of this divide has somewhat reduced owing to the migration of the Indian population to the urban areas. What are the initiatives taken by MIC in the field of education for Malaysian Indians? The main contribution of MIC in the field of education is to upgrade the quality of education in Tamil schools. This is because over 50% of the Tamil children are enrolled in these schools. Several programmes have been initiated towards this goal such as improving the infrastructure facilities, rebuilding or renovating dilapidated buildings, conducting seminars and conferences for teachers and headmasters, counselling sessions for parents and pupils, free supplementary texts for exam classes and tuition programmes. For higher education, MIC through the Maju Institute of Educational Development (MIED) has established two higher educational institutions namely, TAFE College, which is a technical and vocational institution and a university named Asian Institute of Medicine, Science and Technology, (AIMST University). So far 20,000 graduates from TAFE and about 3,000 graduates from AIMST University which includes 1,000 medical doctors, have been produced by these two institutions. MIED has also provided loans for students in institutions of higher education. It has provided RM119 millions for 9888 students in the fields of medicine, dentistry, engineering, civil aviation, business studies, information technology, law and accounting. In your view, what are the contributions of the Malaysian Indian Congress to Malaysia in general and Malaysian Indian community in particular? MIC was formed in 1946 to espouse the political rights of the Indian community in a soon to be an independent nation – Malaya achieved its independence in 1957. It has been the major partner in the Barisan government representing the Indians since 1955. It has been the custodian of the Indian community representing their interests in politics, education, economy, religion and culture. What is the role of Malaysian Indian middle class in the modern, globalised economy of Malaysia? The Malaysian middle class Indians are mainly professionals and businessmen and are benefitting from the development that has accrued to the nation through globalisation and modernisation. Altruism and volunteerism is emerging amongst these middle classes through their participation in NGO’s for the social development of the less fortunate Malaysians. There have been many research studies about Indian community in Malaysia. According to you, what are the gaps that exist in these studies? The earlier studies in the 1960’s and 1970’s focussed on the immigration and settlement of Indians in the country, ethnography profile of plantation workers, trade Union movement, educational status of Indian children, political involvement and other socio-economic issues. I cannot provide a critical review but I note a lack of serious and comprehensive study on the Indians whose problems have changed from rural poverty and the problems of plantation workers to issues of urban poverty, crime amongst the Indian youths, drug abuse, life in squatter areas, increasing suicide and divorce rates, resulting in single parent families and other socio-economic problems. These are some of the areas that need serious research studies. Tan Sri Professor Dr. T. Marimuthu is now an Adjunct Professor at the School of Education and Cognitive Sciences, Asia e University, Kuala Lumpur. 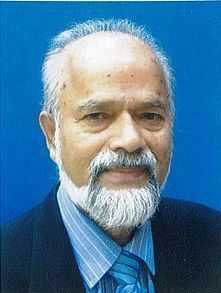 He was formerly the Chairman of Asian Institute of Medicine, Science and Technology University in Kedah, Malaysia, professor of Social Psychology of Education and the Deputy Dean at the Faculty of Education, member of the University Senate and Head of the Department of Social Foundations during his career in the University of Malaya from 1970 till 1990. He was a Fulbright Scholar at Stanford University, California and the University of Chicago, USA and has been a consultant to various international organizations such as UNESCO, UNICEF and the World Bank on educational and parliamentary matters. He is the author of several books and articles in the field of sociology of education. He entered into politics in the 1990s and subsequently was appointed as the Deputy Minister of Agriculture. He was then elected to the Senate, holding office from 1996 to 2002, and serving as the Chairman of the International Relations committee of the Malaysian Parliament and as President of the Senators Club.